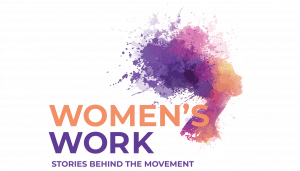 “Women’s Work: Stories Behind the Movement,” a multimedia series from Connecticut Public, features the stories of local women who share a common desire to be part of a collective effort – serving as leaders, trailblazers, artists, educators, advocates and entrepreneurs. “Women’s Work” is part of the “Sharing Connecticut” — Short videos. Big stories.